The research in my lab focuses on neuroanatomical organization and embryological development of airway innervation, examining interconnections between airway neurons and airway structures (smooth muscle, blood vessels, glands, epithelium), and on determining neuronal responses to inhaled irritants. Different types of nerves including sensory, sympathetic, parasympathetic, and nonadrenergic/noncholinergic supply the trachea and bronchi. Released neurotransmitters mediate bronchial and vascular smooth muscle tone, mucous secretion, coughing, and breathing patterns in normal conditions and produce defensive responses after inhalation of irritant substances. Airway nerves may also contribute to lung diseases like asthma, chronic cough, and chronic obstructive pulmonary disease (COPD). Although there is considerable information regarding the actions of neurotransmitters, such as acetylcholine, norepinephrine, vasoactive intestinal peptide, substance P and nitric oxide, the mechanisms through which airway nerves contribute to asthma and other airway diseases is not clear. Regulatory molecules like neurotrophins may be critical in altering neurotransmitter expression and airway innervation leading to asthma and airway inflammation. 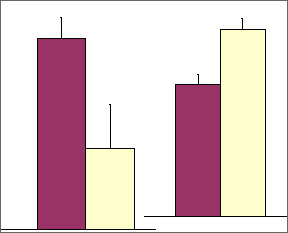 Combinations of immunocytochemical, molecular biological, neurophysiological and pharmacological approaches are used to investigate pulmonary neural responses to inhaled irritants such as ozone, a photochemical environmental pollutant, and toluene diisocyanate, a catalyst associated with occupational asthma used in manufacturing polymers. Goravanahally, MP, Hubbs, AF, Fedan JS, Kashon, ML, Battelli LA, Mercer RR, Goldsmith WT, Jackson MC, Cumpston AC, Frazer DG and Dey RD. Diacetyl increases sensory innervation and substance P production in rat trachea. Toxicol Path, 42:582-90, 2014. Goravanahally MP, Hubbs AF, Fedan JS, Kashon ML, Battelli LA, Mercer RR, Goldsmith WT, Jackson MC, Cumpston A, Frazer DG, Dey RD. Diacetyl Increases Sensory Innervation and Substance P Production in Rat Trachea. Toxicol Pathol (2013 Jul) Epub ahead of print. Wu ZX, Benders KB, Hunter DD, Dey RD. Early postnatal exposure of mice to side-steam tobacco smoke increases neuropeptide Y in lung. 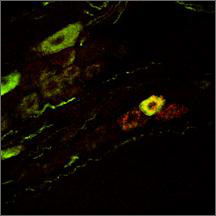 Am J Physiol Lung Cell Mol Physiol, (2012 Jan 1) 302(1):L152-9. Zellner LC, Brundage KM, Hunter DD, Dey RD. Early Postnatal Ozone Exposure Alters Rad Nodose and Jugular Sensory Neuron Development. Toxicol Environ Chem, (2011 Jan 1) 93(10):2055-2071. Hunter DD, Carrell-Jacks LA, Batchelor TP, Dey RD. Role of nerve growth factor in ozone-induced neural responses in early postnatal airway development. Am J Respir Cell Mol Biol, (2011 Aug) 45(2):359-65. Hunter DD, Wu Z, Dey RD. Sensory Neural Responses to Ozone Exposure during Early Postnatal Development in Rat Airways. Am J Respir Cell Mol Biol (2010). Richard Dey, Laura Van Winkle, Gary Ewart, John Balmes, and Kent Pinkerton on behalf of the ATS Environmental Health Policy Committee. Editorial: A Second Chance: Setting a Protective Ozone Standard. Am. J. Respir. Crit. Care Med. 2010; 181: 297-299. J.G. Ayres, B. Forsberg, I. Annesi-Maesano, R. Dey, K.L. Ebi, P.J. Helms, M. Medina-Ramo´n, B. Menne, M. Windt and F. Forastiere, on behalf of the Environment and Health Committee of the European Respiratory Society. Climate change and respiratory disease: European Respiratory Society position statement. Eur Respir J. 2009, 34:295-302. Wu, ZX, D.D. Hunter, V.L. Kish, K.M. Benders, T.P. Batchelor and R.D. Dey. Prenatal and Early, but Not Late, Postnatal Exposure of Mice to Side-stream Tobacco Smoke Increases Airway Hyperresponsiveness Later in Life. Environ Health Perspec., 2009, Sept, 117: 1434-1440.